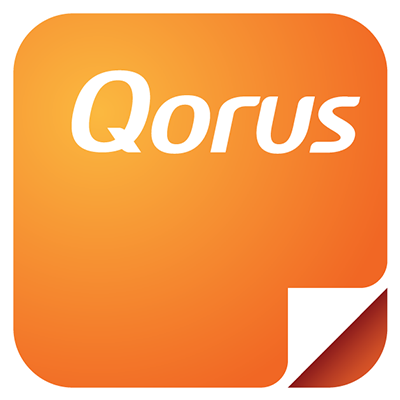 The Qorus Add-in for Word makes it possible to collaborate more precisely on Office 365 Word documents, through the creation and management of document tasks, otherwise known as assignments. Each assignment can only have one assignment owner. This is the person who created the assignment. More than one person can create assignments in one document. Each person is the owner of the assignments they create. It is possible to create assignments for yourself, and in so doing, populate your own 'To Do' list with tasks you need to complete in a document. Each assignment can have anything between one and ten recipients. If an assignment has more than one recipient, then whoever actions the assignment, does so on behalf of all recipients. It is possible to collaborate with people who do not have a Qorus license, provided they are on your Office 365 subscription. However their experience will be limited, as they don't have access to Hub Central, and can only have a total of five active assignments assigned to them at a time, across all documents. When you create an assignment for a coworker who does not have a Qorus license, they will be added as a Guest user to the system and will be able to use the Qorus Add-in for Word to collaborate with you. An assignment can relate to specific text within the body of a document. For example, you could select the text that makes up the 'solution overview' section of a proposal, and assign it to a technical expert to review for accuracy. Alternatively, an assignment can be created in a blank spot within a document. For example, if you're working on a vendor questionnaire, you could place your cursor in a blank space reserved for an answer below a question, and create your assignment there. In the document, assignments appear within containers called content controls. Don't worry though, they won't prevent you or your assignment recipient(s) from working in the document. In fact, assignment recipients are expected to type up their response within those containers, and can even search for and insert useful content using the Qorus Document Builder as they respond. When assignments are marked off as 'closed', collaboration content controls are removed from the document. Assignments can also have Due Dates, include Comments, and be marked as urgent. These are entirely optional, but can be very useful for project managing and coordinating work when up against a deadline. More than one person can work in the document at the same time. Although we'd love to take credit for this one, co-authoring in Word is standard Office functionality. It does a great job of protecting areas in the document where people are working, so that folks don't overwrite each other's work accidentally. If connectivity was interrupted, or something unexpected happens, Word also does a great job in comparing document versions and alerting collaborators of any conflicts. You can also turn on 'Track Changes' and we'd recommend turning on versioning in Office 365 so you can quickly revert to an earlier version of the document if necessary. Assignment owners work off their 'created' list, and assignment recipients work off their 'to-do' list. These can be accessed at document level in the Qorus Add-in for Word, as well as in the Hub Central. These lists get updated as you work. Qorus keeps everyone informed. There are two kinds of email notifications available. The first is the Daily Collaborate Update email, which provides a digest or consolidated view of assignment updates. The second is the Urgent Assignment Notification, which goes out immediately to all those concerned whenever an assignment status is updated. Qorus provides people insights around collaboration. Qorus tracks current assignment workload, so its possible to see how many active assignments a person has at any point in time. Qorus also tracks performance, whether assignments were completed on time, late or not at all, as well as how long it takes on average for an individual to complete an assignment usually.